Are you tired of pumpkin yet? Ya, me neither. So, instead of taking my frustration out on the iPad, I went to the kitchen – determined to partake in the pumpkin extravaganza. And also contribute a little pumpkin something to the Internet for all us gluten-free, grain-free, dairy-free, sugar-free folks. 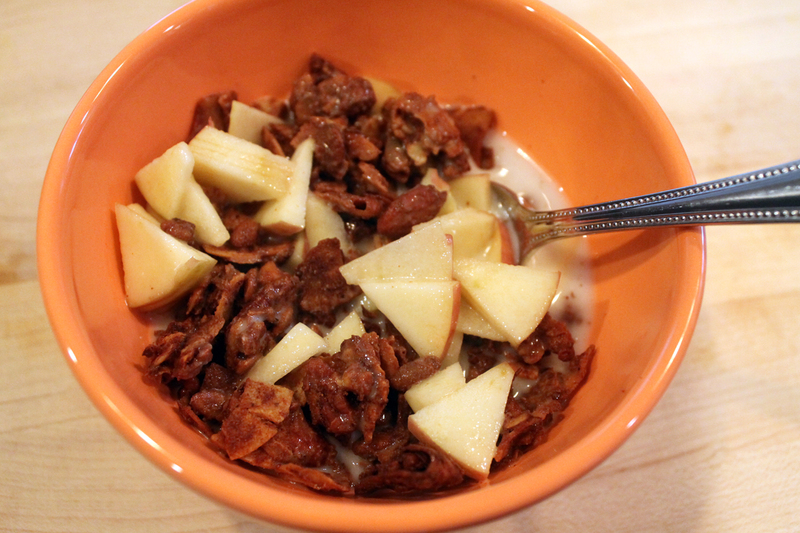 So here goes… grain-free granola that puts that brownie in it’s place. 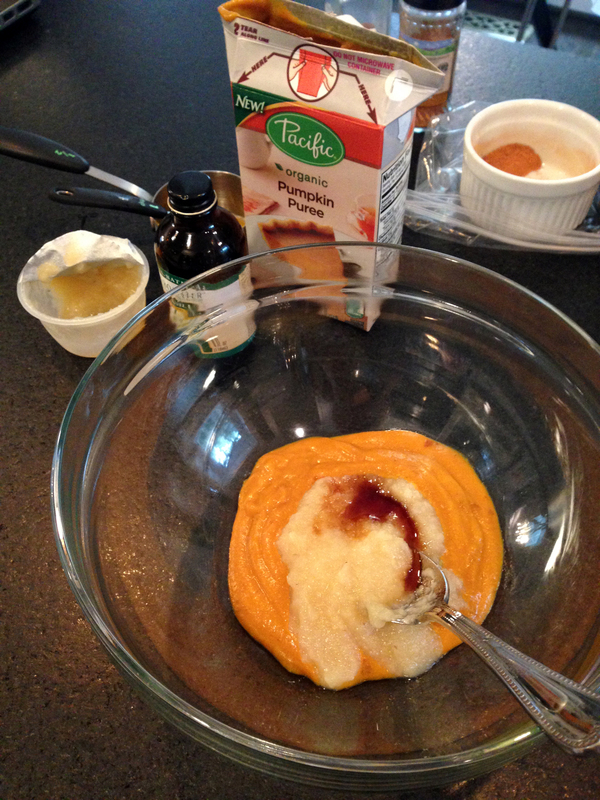 The recipe starts with canned or boxed pumpkin, but be sure to get the pumpkin puree, not the pumpkin pie (sugar). Combine pumpkin with the applesauce (for sweetness), vanilla, and spices. Spread the mixture out on a parchment-lined baking sheet, smoothing evenly to cover the tray. Pop in the oven and bake 40-50 minutes – stirring and respreading about half way through the bake time. When browned and crisp, remove from oven and allow to cool and harden. Store in an airtight container in the fridge. Snack by the handful or bowl and enjoy! In a large bowl combine the first nine ingredients and mix well. 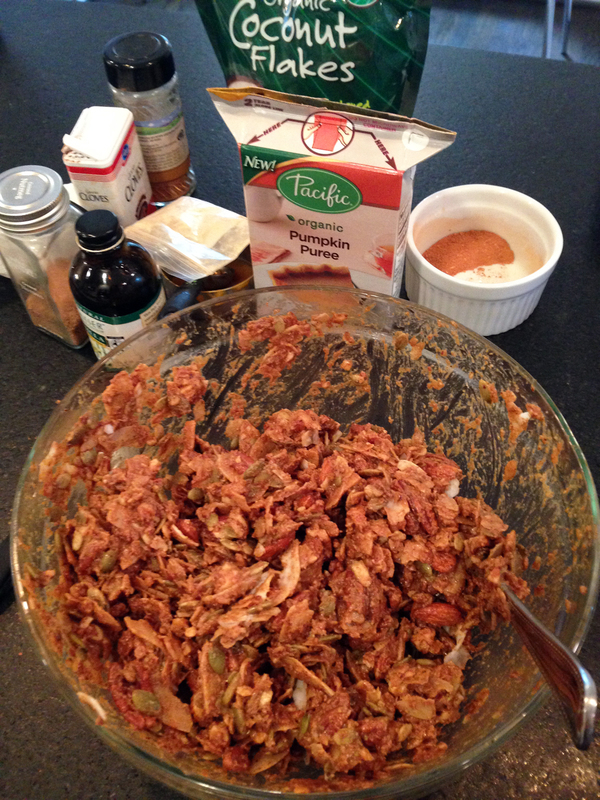 Add in the nuts/seeds and coconut and stir until they are evenly coated with the wet ingredients. 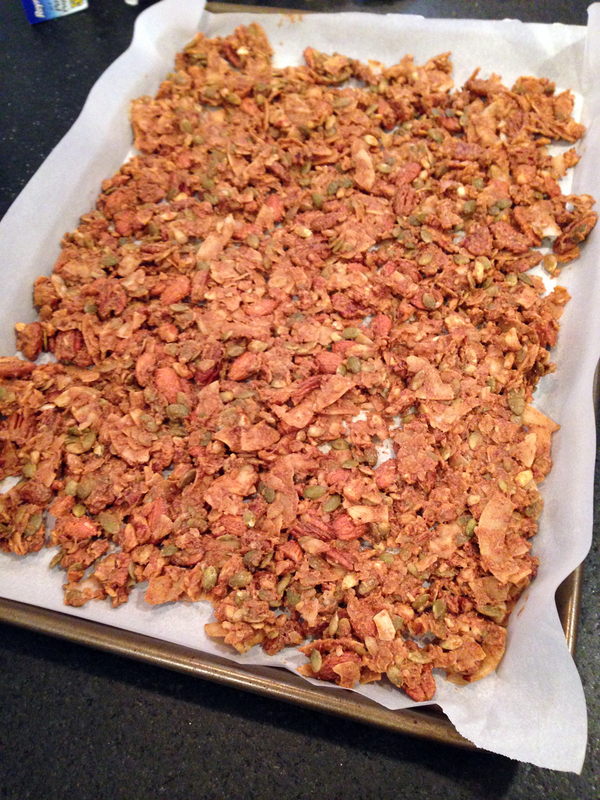 On a parchment lined baking sheet, spread out the granola mixture so it covers the sheet evenly. Bake at 325 for 40-50 minutes. 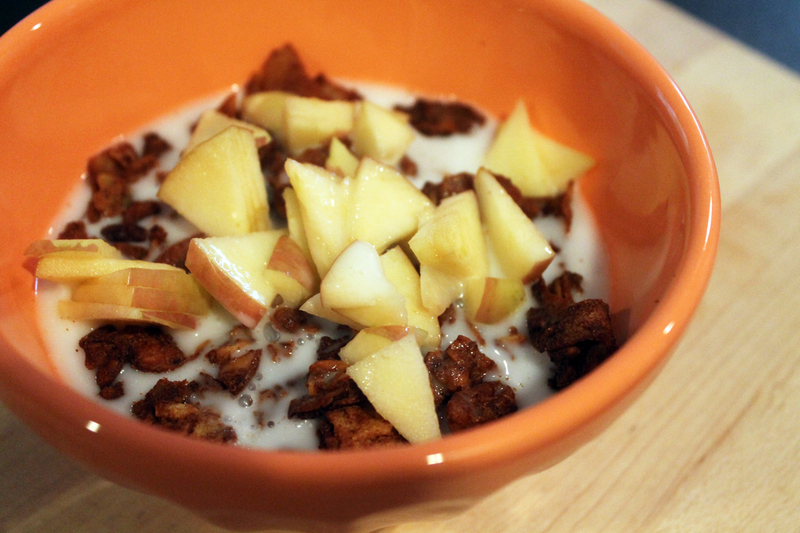 Check granola at half way point and move around to help it cook evenly. After baking, allow to cool and harden.